Lex TM3, headquartered in Davie, FL specializes in producing complete ground power systems for the military using our Commercial Class L connectors or a currently QPL’d Class L connector for cabling, power panels and switches, supporting: generators, shelters, trailers, ECU’s, Patriot systems, C4ISR, MRO’s, hospitals, microgrids, alternative energy solutions, and other mobile, tactical applications. We are focused on being the best resource for Portable Power Distribution equipment using the most advanced manufacturing methods and equipment in the industry. Lex TM3’s excellent reputation and expertise is directly related to maintaining the highest quality product standards, consistency, and accelerated delivery schedules. The result is our being recognized as one of the top leaders in manufacturing in the military industry. CNC Multi-Axis Machining, Horizontal and Vertical using Gantry Robots and pallet cell technology. In this state of the art environment, LEX TM3 Systems works closely with our product design engineers to ensure micromachining accuracy – before production begins. We develop technologically advanced machining capabilities to meet the need, and in many cases enable our customers to be highly competitive in the marketplace while achieving the highest level of accuracy. Our knowledgeable engineering staff Design For Manufacturability (DFM) to support the manufacturing of your component or device from initial prototype through all steps of approval and full production requirements. Our proprietary manufacturing and finishing technologies enable our customers to bring products to market that might otherwise be considered cost prohibitive or unable to be manufactured using standard available manufacturing methods. Using automated feeders and conveyor technology Lex TM3 operates the newest, most advanced Swiss-style turning machines. Our Swiss Machining equipment is no more than three years old. Our highly trained staff of engineers and operators has the experience to take your project from prototype to full market requirements. Our Capabilities with Swiss turning machines include multiple simultaneous operations, milling, polygon turning, broaching, thread whirling and all the latest technology. This equipment can hold tolerances of +/- .0001” and their versatility eliminates the need for secondary operations. We specialize in swiss machining components from exotic materials including Stainless Steel, Beryllium Copper, Titanium, Nitinol, Tantalum, Cobalt Chrome, and PEEK. The Swiss Machining department works hand in hand with our Process Validation department to provide qualification and validation. Using state of the art CNC equipment and loading technology. Lex TM3 takes pride in serving our customers, providing high-quality sheet metal fabrication services with advanced, state-of-the-art equipment. We offer contract manufacturing, precision fabrication, and prototypes, using a wide range of metals that include aluminum, CRS, galvanized steel, plate, stainless steel, and many others. Our fabrication department works closely with our design team to provide you a turnkey solution with the highest level of quality. Our sheet metal capabilities include laser cutting, Water Jet cutting, forming, shearing, tapping, piercing, grinding, metal refinishing, welding, punching, wire EDM, stamping, tumbling, riveting, light assembly, roll forming, powder coating and silk screening., and a very diverse array of available fabrication processes. Our facility handles sheet metal in gauge sizes that range from 26 GA to ½”, with maximum sheet metal widths up to 60″ and lengths up to 144″. Lex TM3 can build to print most custom over molded cable assemblies designed for today’s sophisticated applications. 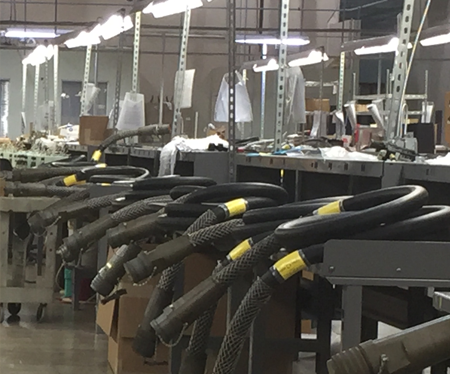 Whether you are looking for over molded cable assemblies that can withstand harsh or demanding environments or have performance parameters that must be met for your industry, the team at Lex TM3 will make it possible. 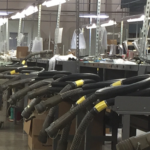 With years of industry experience, we have the engineering, design facilitation, and technology resources to take a cable assembly concept and transform it into a solution that can be manufactured to meet the demands of your application. Lex TM3 offers end to end power distribution products, Connectors, Contacts, Cable Assemblies and Portable Power Distribution Panels, Transfer switches and much more all built in a Mil-Std-790 facility. We offer custom and special products for all your applications built in a mission critical high-reliability government approved facility. Lex TM3 is committed to becoming your solutions provider for procurement and program logistics. We will tackle the hard to find items, consolidate and coordinate shipments to meet your production demands and eliminate production downtime and delays from vendors. Your one stop shop for all your program needs. Lex TM3 manufacturers complete, ground power systems for the military; Class L MIL-DTL 22992 connectors, cabling, power panels and switches, supporting: generators, shelters, trailers, ECU’s, Patriot systems, C4ISR, MRO’s, hospitals, microgrids, alternative energy solutions, and other mobile, tactical applications. Lex TM3 is focused on being the best resource for Portable Power Distribution equipment using the most advanced manufacturing methods and equipment in the industry. Lex TM3 excellent reputation and expertise is directly related to maintaining the highest quality product standards, consistency, and accelerated delivery schedules. The result is our being recognized as one of the top leaders in manufacturing in the military industry. Demand for energy on the battlefield is a key military challenge. By increasing the energy efficiency of operations, the military is able to limit the risks troops face during transport, as well as minimize the amount of defense dollars spent consuming energy. Lex TM3 Intelligent Mobile Power Distribution system offers increased grid and generator efficiency while improving safety. Lex TM3 intelligent power distribution systems can be deployed as standalone units or utilized in existing power systems or micro-grids. Some of the advanced features include, fault monitoring and isolation, automatic phase balancing, load prioritization and shedding, auto grid disconnect and simple user interface and displays. Testing Capabilities and Certifications Lex TM3 is a Military Approved Test Facility holding Lab Suitability Status from Defense Logistics Agency for Qualification and Conformance inspections. Lex TM3 in-house testing capabilities consist of Electrical – DWV, IR, Resistance, Arc Rupture, load testing, Continuity. Mechanical – Tensile, Durability, Force, Vibration, Drop, Impact resistance, Shock, Water Immersion, Heat Rise, Hardness testing, Pull strength, Insertion and Separation force, Abrasion testing, Mechanical dimensional testing, Performance testing and Functional testing. We also perform Multi-factored Evaluations and product or process Validations. With our talented team of engineers, we can provide you with excellent engineering solutions in the development of your new or redesigned products. We specialize in rapid product design and development. Our highly experienced engineers can quickly take your product ideas from prototypes to manufacturing. Lex TM3 engineering team uses rigorous engineering standards to design, prototype, test, and deliver systems. We are also certified to ISO:9001:2008 and AS9100 Rev C quality standards. Lex TM3 has the ability to design systems for a broad and diverse range of products. We design efficient systems that can cut your product’s costs. Lex TM3 designs systems with the success of your new product in mind. Connector Design, Portable Power Distribution Systems, Electrical Systems, Battery and Power Systems, Communication Interfaces, Electrical Prototyping, PCB Design and Layout, Mechanical Systems, Solid Modeling, Mechanical Prototyping, Plastics/Enclosure Design, Mechanical Production, Design for Manufacturability, Thermal and structural analysis, Stress, Structural Design, Process development and implementation, Mission analysis and architecture, Requirements analysis, development, and management, Modeling and simulation, Independent Verification & Validation, Risk management, Milestone and technical reviews, Reliability and maintainability, Rapid Prototyping.